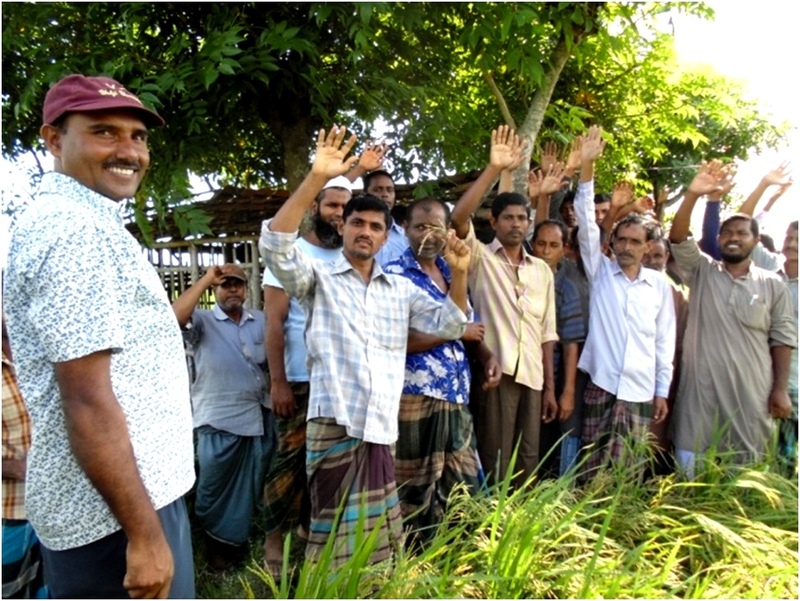 A one-day training session on rice production for local service providers or LSPs was held at the Barisal regional station of Bangladesh Rice Research Institute on 18 July 2012. LSPs are local folk who own or operate an agricultural support service such as a power tiller, water pump, fertilizer and pesticides dealership, or seed trade. Eighteen of them from Barguna, Barisal, Patuakhali, and Jhalokathi districts attended as participants. Common and area-specific problems were identified and the corresponding information gaps determined during the training. 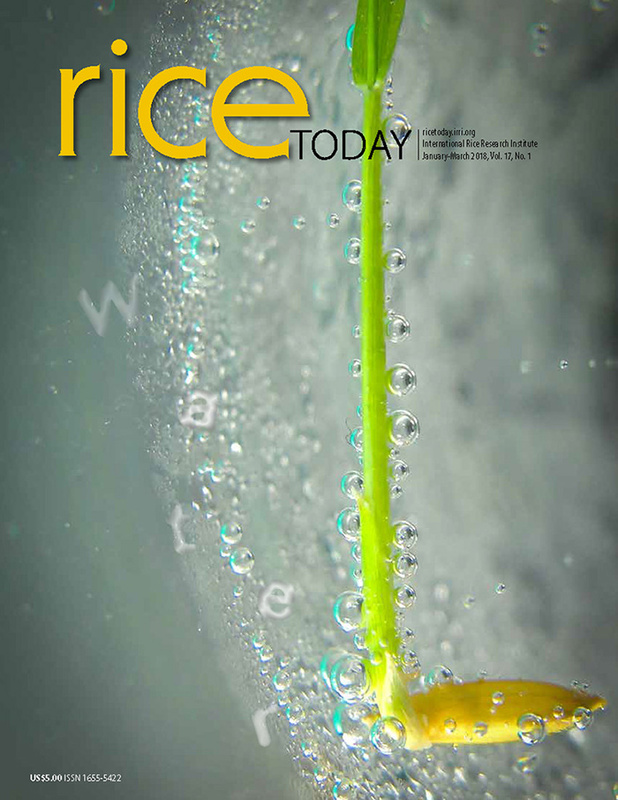 Problems or concerns identified were: newly developed salt- and submergence-tolerant rice varieties, new season-specific high-yielding varieties for favorable ecosystems, quality seeds and suppliers, seedbed preparation and maintenance, quality seedling production, water management technologies, water pumps, area- and variety-specific fertilizer doses and applicators, pests, and pest management. The role of LSPs and how they were to support local farmers were also discussed. IRRI organized the event under the project Cereal Systems Initiative for South Asia (CSISA) in Bangladesh. Md. Shahidul Islam of CSISA-IRRI in Barisal and Md. Harunur Rashid of CSISA-IRRI in Khulna were among the facilitators of the participatory training program. 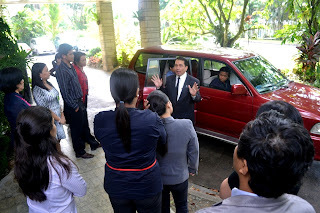 IRRI’s Human Resource Services (HRS) held 12 information sessions between 26, 27, and 30 July 2012 at IRRI headquarters. Over 450 HQ-based staff attended the information sessions facilitated by Fiona Farrell, director of Human Resource Services, to update staff on the ongoing process of creating NRS career paths. Participants learned about the three-phased approach and the importance of having standard Job Profiles as a foundation for modern career paths. The process for developing the standard job profiles was shared and participants were informed of their roles in the next steps and the timelines for completion and implementation. The process of developing the NRS career paths has been underway since May 2012 and started with the establishment of the NRS Job Profile Committee consisting of IRRI staff from across disciplines, levels and units. They are supported by external consultants from Towers Watson, the HRS team, and internal consultants/advisors. 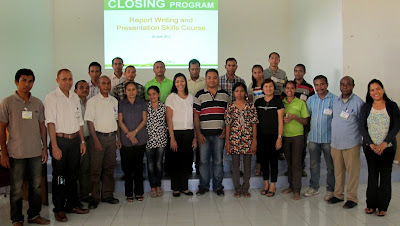 The first phase of this complex project, the creation of standard job profiles, will run until mid October 2012 and will involve the training of over 100 NRS facilitators and wide consultation with a large number of IRRI staff. For those staff at headquarters who were not able to attend the information sessions, additional meetings will be organized on Friday, 3 August 2012 at Hawk Room, Training Center. The first session will be from 1315 H to 1415 H while the second session from 1430 H to 1530 H.
Country Office-based staff will also participate via Webex meetings on 9-14 August 2012. More details can be found in the English and Filipino language brochures. For further inquiries, please email the NRS Job Profile Committee at nrs-job-profile-committee@irri.org. using the IRRI-developed app, FieldLab. With the ubiquity of portable digital devices such as smart phones and tablets, data collection in agricultural research is going paperless. The Molecular Plant Pathology Group has adopted collection of phenotype data the digital way and is one of the teams pioneering paperless data collection at IRRI. The group, led by Chitra Raghavan, is using the app FieldLab, designed specifically to collect rice germplasm data. The app was developed for Android by Alex Cañeda, programmer at the Crop Research Informatics Laboratory at IRRI. Dr. Raghavan’s group observes diseased leaves and records these in percentage of affected areas (% DLA) for several bacterial and fungal pathogens on the MAGIC rice population. Her assessment shows that paperless data collection takes almost twice the time to gather data as when using paper. But when data is collected digitally, no encoding needs to be made. This saves about 10 hours of encoding work that came with the paper-based method, which was more prone to errors because of the extra step. The INGER Multi-Environment Rice Varietal Testing group, led by Angelito Galang, has also started using FieldLab to collect agronomic data from their varietal trials in and outside the IRRI campus. 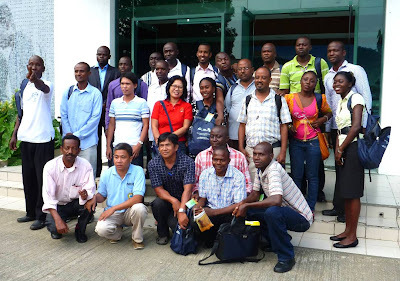 Other adopters of the technology include scientists from the C4 Rice Center, agronomy, nutrient management, crop modelling, irrigated rice breeding, and submergence breeding. Other laboratories and research teams are lined up next to go digital in their own data collection. Tablets used for data collection were provided by the office of the Deputy Director General for Research. The Research Data Management team of the Risk Management and Quality Assurance office is providing training and support on the use of these devices. 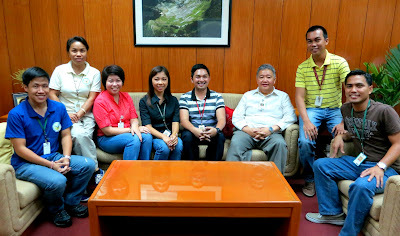 The leaders of the IRRI Filipino Scientists Association, Inc. (IFSA) met with V. Bruce J. Tolentino, IRRI's new deputy director general for communications and partnerships, on 17 July 2012 to formally introduce the organization and its goals. 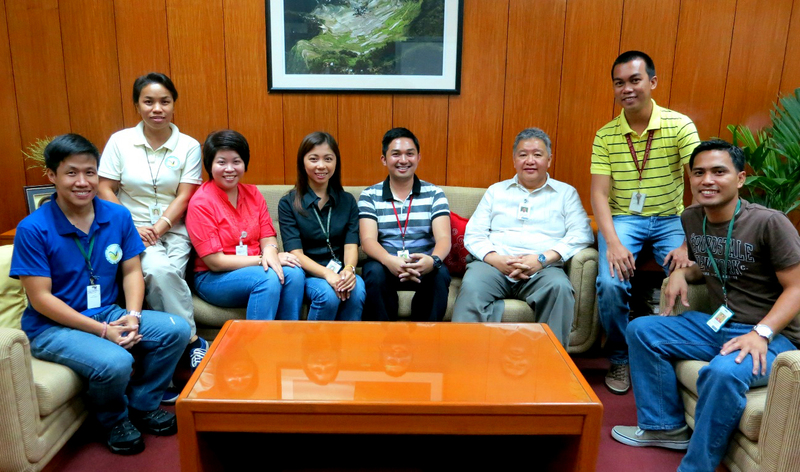 The members of IFSA's board of directors who met with Dr. Tolentino were led by Dennis Tuyogon, IFSA president. 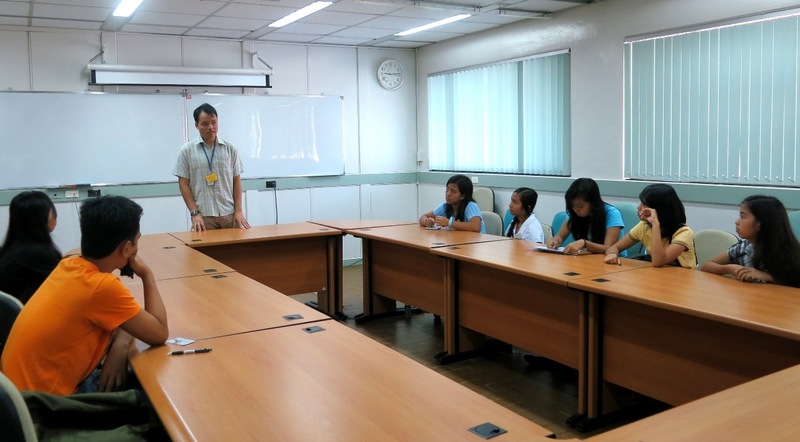 They were delighted to hear positive feedback from Dr. Tolentino, but were also keen on learning more ways in which they could continue to help Filipino scientists through the DDG-CP, such as improving the working environment and career path of IFSA members. The meeting is one of several regular meetings in which IFSA, representing IRRI's nationally recruited research employees, dialogues with the DDGs about the group's role in fulfilling IRRI’s goals and issues affecting Filipino scientists at IRRI. More than 50 representatives from the government, private sector, universities, NGOs, and various other institutions gathered for the Odisha research and delivery hub expert consultation meeting at the Mayfair Convention Center in Bhubaneshwar, India, on 10 July 2012. Samarendu Mohanty, program leader for policy and targeting and head of IRRI's Social Sciences Division, organized the meeting to finalize planned activities of the hub as part of the Cereal Systems Initiative in South Asia (CSISA) project. As the project moves into its second phase, plans are in place to expand its activities in the eastern state of Odisha by setting up a research and delivery hub to enable public-private-civil society partnerships for participatory technology development that are relevant and responsive to local conditions and priorities. 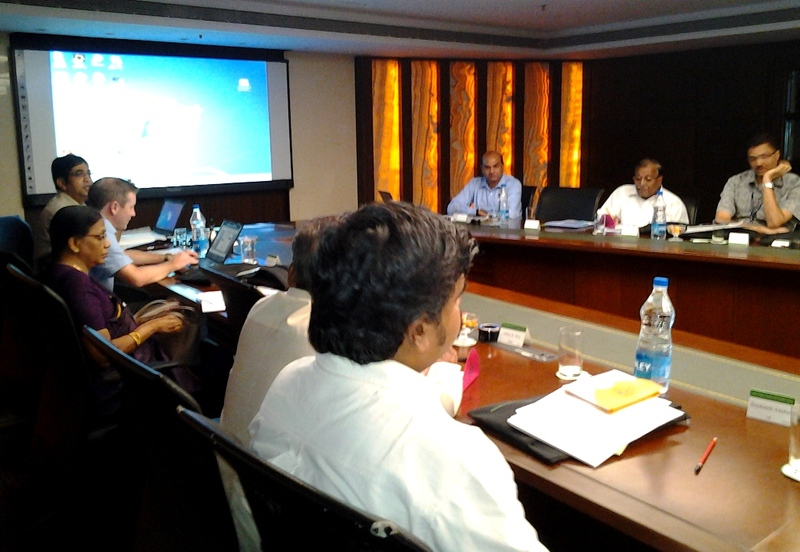 Inputs from various stakeholders are thus needed to help the CSISA team formulate its work plan in the state. Represented in the meeting were the Central Rice Research Institute, Directorate of Research on Women in Agriculture, Directorate of Water Management, Orissa University of Agriculture and Technology, BISWA, AID/IRRI Programme, Digital Green, G.B. Pant University of Agriculture and Technology, ICRISAT, ILRI, IFPRI , CIMMYT, CIP, IIT Guwahati, KIIT School of Rural Management, M.S. Swaminathan Research Foundation, Orissa State Seeds Corporation, Ltd., PALLISHREE, PRADAN, PRAGATI, VARRAT, and the IRRI-CSISA team from IRRI headquarters and the India office. 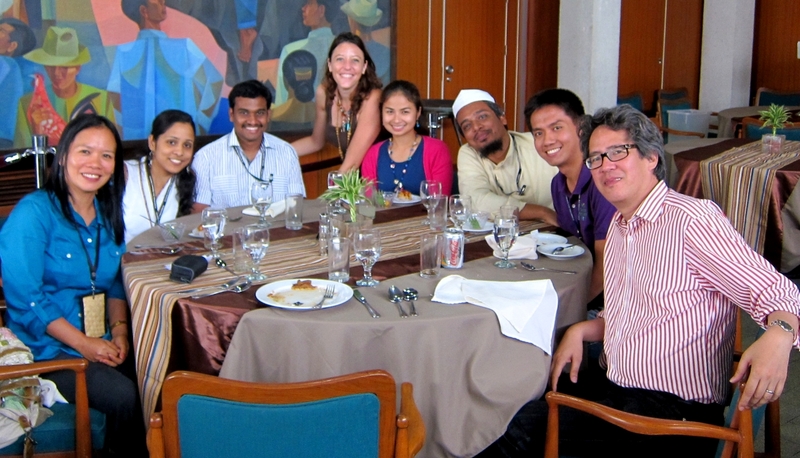 Young IRRI researchers with NYU genomics professor Michael Purugganan (rightmost). IRRI's budding scientists had a lively discussion with Michael Purugganan during the IRRI Young Researchers Lunch (YRL) held on Wednesday, 27 June 2012. Dr. Purugganan is professor of genomics and associate director of the Center for Genomics and Systems Biology at New York University. Participants during the June meeting were Ebna Syod, Md. 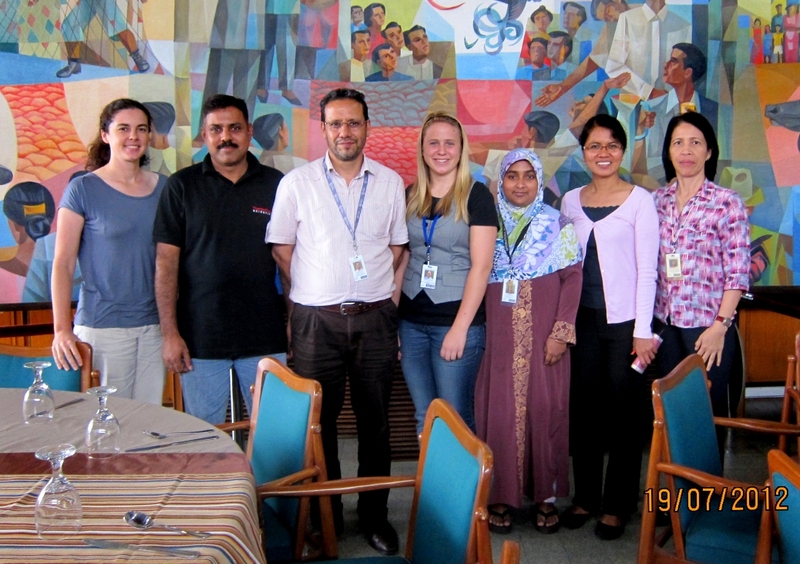 Harunur Rashid, Sumanth Kumar Mutte, Adithi Ravikumar Vardarajan, Rowena Oane, Jeanaflor Crystal Tahir Concepcion, Dennis Lozada, and Amelie Gaudin. The YRL is a monthly meeting for NRS and AFSTRI scientists who are in the early stages of their careers. The purpose is to provide an opportunity for discussions with senior scientists on a range of topics including science and career paths. The first offering of Research Data Management 201: Advanced SQL started today (17 July 2012) at the I.T. 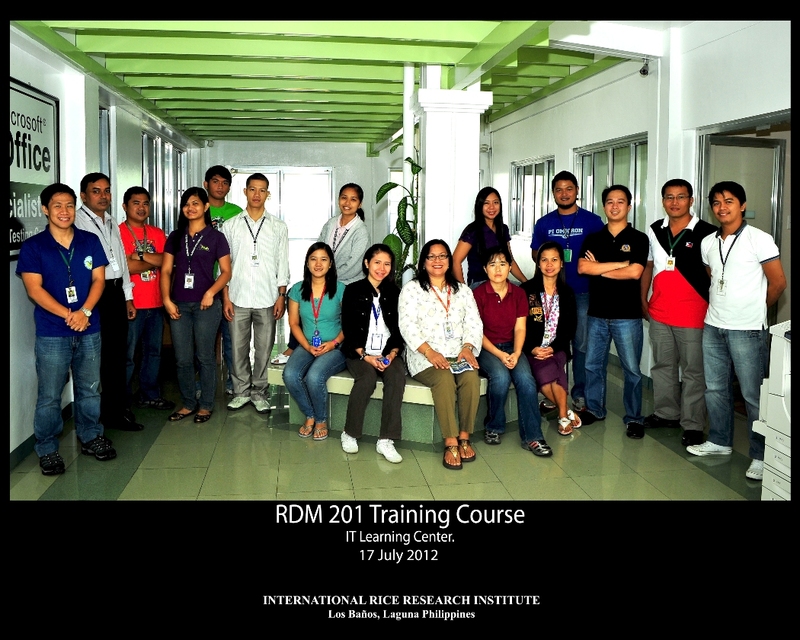 Learning Center in IRRI and will run for 3 half-days. In this course, some advanced functions and queries that can be useful when building more complex applications were introduced. It will refresh participants on basic database management skills by defining and looking at the structure of the (preferred) relational model as compared to the hierarchal model of handling data. Participants are also taught to identify denormalized data and correct data redundancy up to the third normal form (3NF). Fourteen (14) research staff and scholars coming from CESD, PBGB, GQNC-ASL, and SSD are participating in this pilot offering. All have undergone RDM 101 as a prerequisite. The RMQA-RDM 201 training team is composed of Menchu Bernardo, Icoy Mercado, and Dec Arreza. 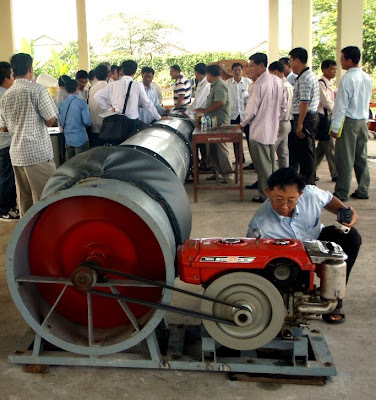 Postharvest technologies are being adapted at an increasing rate in Cambodia and Myanmar. To ensure the sustainability and success of the dryer technology, the ADB-funded IRRI Postharvest Project is conducting a training on fan testing at the Department of Agricultural Machinery (DAM) of the Ministry of Agriculture, Forestry, and Fisheries (MAFF), in Phnom Penh. Myanmar partners of the Irrigated Rice Research Consortium Postproduction Workgroup also flew in to join the training, which runs throughout this week (9-13 July). 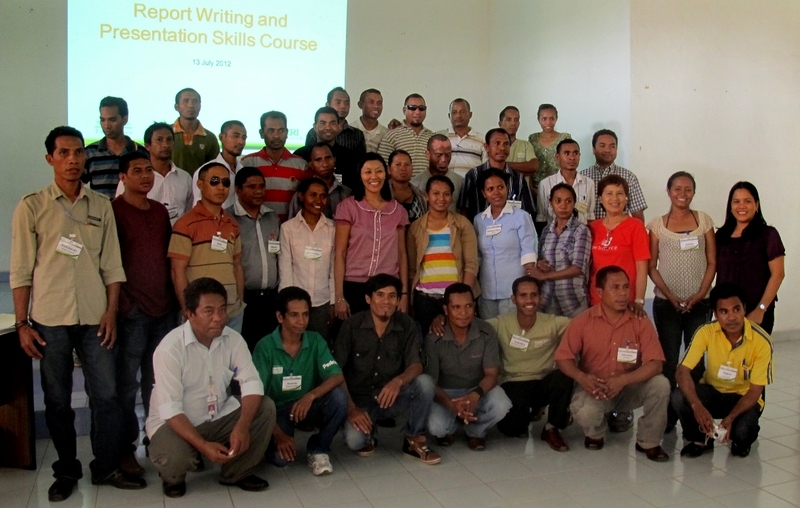 Most of the participants came from Cambodia’s agriculture department. The opening ceremony was graced by Chan Saruth, DAM director, and Meas Pyseth, MAFF international programs coordinator. IRRI's Pat Borlagdan, mechanization and postharvest expert, is conducting the training. V. Bruce J. Tolentino (second from right), IRRI’s deputy director general for communications and partnerships, delivered a talk and participated in an open forum on the impact of climate change and global warming on the economy, ecology, and biodiversity during the CSR Expo 2012 held on 5 July 2012. Dr. Tolentino joined Sheila Marie Encabo, National Economic and Development Authority (NEDA) director, and Vicente Paragas, National Water Resources Board executive director, as resource persons during the forum. More than 50 participants that included representatives of nongovernment organizations, private sector corporate social responsibility (CSR) practitioners, and members of the media attended the session. 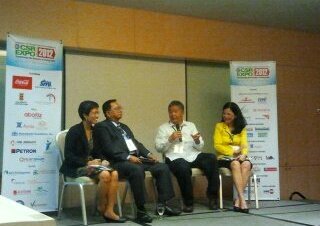 CSR Expo 2012 ran for two days and was held at the SMX Convention Center in Pasay City, Philippines. IRRI Human Resource Services (HRS) in partnership with the Center for Leadership and Change, Inc. (CLCI), the international partner of FranklinCovey in the Philippines, successfully delivered a back-to-back pilot of two of its most in-demand development programs, the 7 habits for highly effective people Signature Program and the 7 habits application for managers. The 7 habits for highly effective people Signature Program is based on Stephen R. Covey's best-selling book, The 7 habits of highly effective people. The program provided a sequential framework for understanding personal and professional development. It also enabled participants to better apply timeless principles that yield greater productivity, improved communication, strengthened relationships, increased influence, and focus on critical priorities. 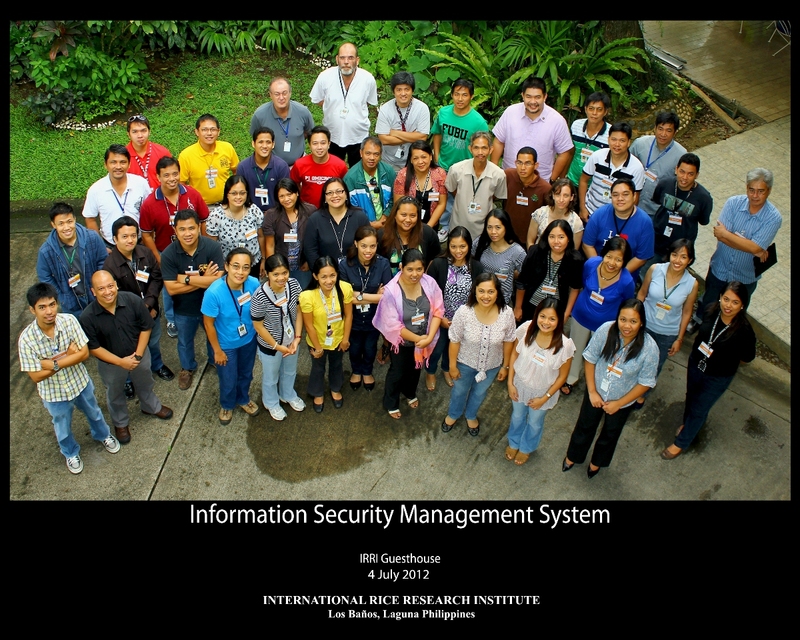 It was attended by 19 administrative and research staff of IRRI and was held on 2-4 July 2012 at the Umali Auditorium, IRRI. The 7 habits application for managers, attended by 18 managerial level IRRI staff, tackled the fundamentals of leading the modern, mobile knowledge worker. Both new and experienced managers acquired a set of tools to help them meet new management challenges including conflict resolution, prioritization, performance management, accountability and trust, execution, collaboration, and team and employee development. It was held 5-6 July 2012 in the same venue. For more information on these programs, please contact Beng Aquino at IRRI extension 2824. The IRRI Filipino Scientists Association (IFSA), Inc., held its annual Scholars’ Day on 7 July 2012 to welcome its new scholars and recognize current ones with outstanding academic performance. 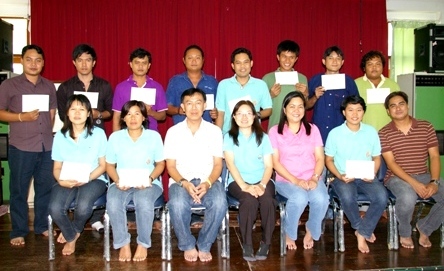 Nine scholars attended the event. 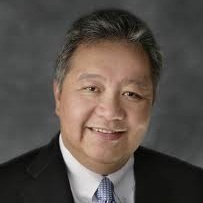 Jireh Vic Lubigan, a T.T. Chang grantee and PBGB thesis scholar, gave a short message to fellow scholars, emphasizing the importance of dedication and passion for the field of study. An open discussion ensued to elicit inquiries, concerns, and ideas from the scholars. 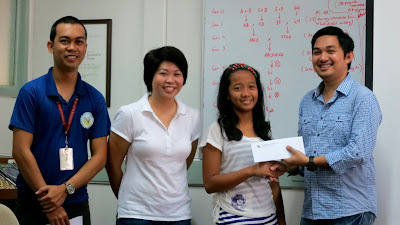 Stipends were distributed during the program to two newly admitted scholars for the D.S. Brar grant. 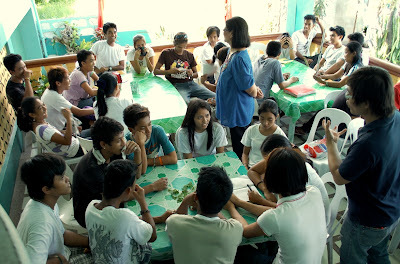 IFSA manages financial grants that benefit academically outstanding and financially needy high school and college students who are dependents of IRRI staff. The grants come from philanthropic foundations, such as the Don Manuel Galatas Foundation, former IRRI staff (T.T. Chang, K.C. Ling, Y. Hayami, S. Bhuiyan, and D.S. Brar), and from IFSA, through fundraising activities. The IRRI Filipino Scientist Association, Inc. (IFSA), has organized another University of the Philippines College Admission Test (UPCAT) refresher course for this year. It started 7 June and will conclude with a mock exam on 28 July. The refresher course aims to help fourth year high school students prepare for the upcoming UPCAT. Twelve dependents of IFSA members and non-members alike are enrolled in the course. The refresher consists of lectures on various subjects that cover the four main UPCAT exam categories—science, mathematics, reading comprehension, and language proficiency. Lecturers are IFSA members that have majored in or are experienced in the subject matter. 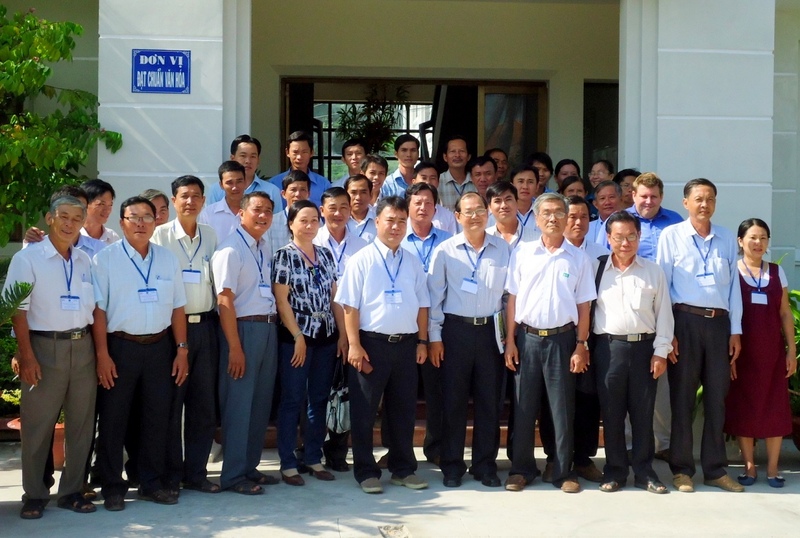 A 5-day training workshop, Technology updates on stress tolerant rice testing in coastal areas of the Mekong Delta, was held on 25-29 June 2012 at the Department of Agriculture and Rural Development (DARD) in Bac Lieu, South Vietnam. Sea-level rise, which results in floods and salt-water intrusion, is a huge concern in the coastal areas of the Mekong Delta, especially as it impacts on rice production. The GIZ Bac Lieu Project and the CLUES Project are the working together to aid and improve rice production in Bac Lieu Province. One area of this technical collaboration is enhancing the technical capability of the local agricultural workforce in the affected province and districts on the use of recent technologies for submergence- and salinity-prone areas. Specifically, the collaboration is introducing stress-tolerant varieties and associated production management practices to the agricultural staff for disseminating in these areas. The workshop was attended by 44 participants from DARD-Bac Lieu, Can Tho University (CTU), and the Cuu Long Delta Rice Research Institute (CLRRI). It included a field practicum on PVS preference analysis, held at Truong Xuan in Can Tho, and a visit to CLRRI laboratory facilities and experimental farms. Topics discussed were: (1) best management practices in saline- and submergence-prone environments, (2) rice production components in stress-prone environments (i.e variety and seed selection, land preparation and crop establishment, nutrient management, integrated pest management, and water management), (3) stress tolerant rice screening techniques and variety development, (4) participatory varietal selection, information requirements and data management, (5) seed system, distribution and outscaling, and (6) upland crop integration in paddy fields. As an output of the course, the participants prepared an action plan for saline- and submergence-prone rice food production systems that they can implement the following cropping season and for the next 2 years (2013-14). Resource persons were from IRRI, CTU, CLRRI, and Institute of Agricultural Sciences for South Vietnam—all partner institutions of the CLUES Project. Romeo Labios (consultant, CLUES Project), Andres Godwin Sajise (IRRI-PBGB), and Ngo Dang Phong (postdoctoral fellow and facilitator, CLUES Project) were the resource speakers from IRRI. 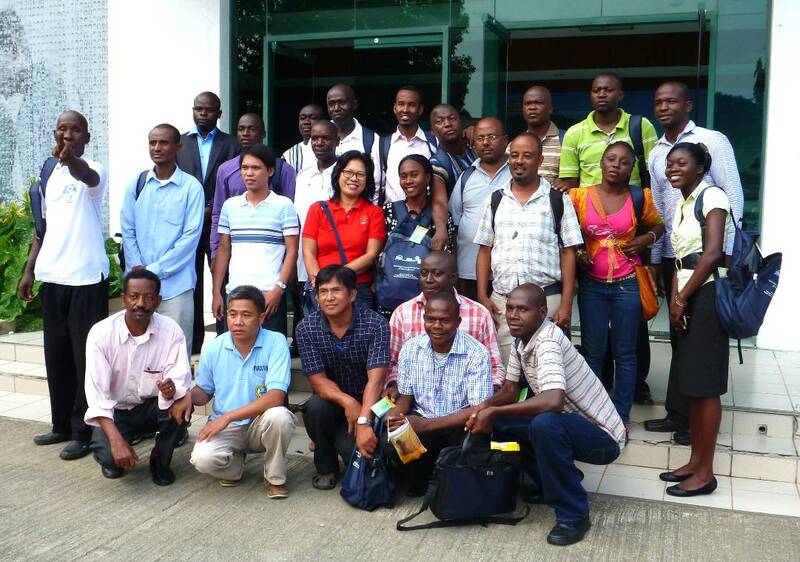 The Irrigated Rice Research Consortium (IRRC) commissioned an impact assessment and process evaluation of IRRC technologies and best management practices developed from phase 1 to phase 4 of the consortium, spanning 15 years. 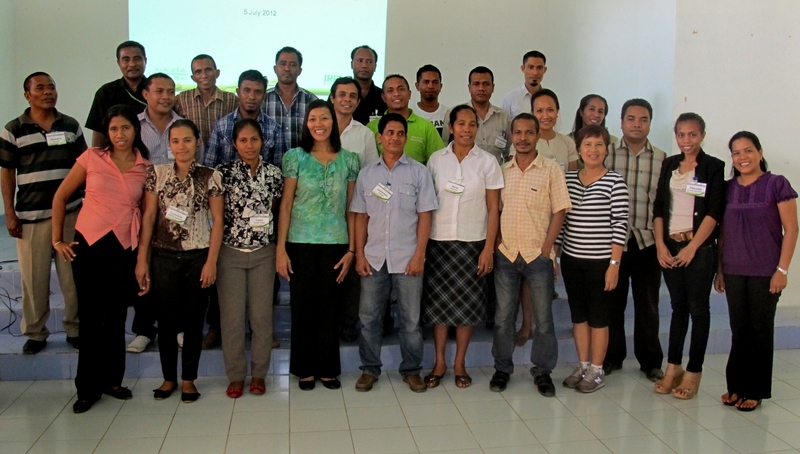 An inception meeting held on 25-26 June 2012 at the IRRI Training Center marked the start of the process. The IRRC coordination unit and work groups gave presentations on the technologies developed, adoption rates, yield and income impacts, and identified sociocultural, gender, institutional, environmental, scientific, and policy impacts. The communication approach of the IRRC was presented to highlight the strategies that have been implemented to promote the best management practices to irrigated rice farmers. This review aims to determine the achievements attained during the four phases of IRRC and how the outcomes of the research contributed to the rice production issues in the Southeast Asian project countries. There will be an economic assessment focused on targeted countries to estimate the return on investment for the donor and for the coinvestment by IRRI. The final consultancy report is expected to document evidence of successful outcomes and impacts, as well as pathways that led to these changes. Also expected to be documented is evidence of limited progress or setbacks, how these were addressed, and the lessons learned. The external panel members are Roderick Rejesus, agricultural economist from North Carolina State University, USA; Adrienne Martin, social anthropologist from the University of Greenwich, UK; and Phrek Gypmantasiri, agronomist from Chiang Mai University, Thailand. IRRC Coordinator Grant Singleton and sociologist Flor Palis led preparations for this meta-impact assessment. An interim report from the consultants will be available in November 2012. The manuscript will be submitted for possible publication in the special issue of the Food Security journal that will come out in March 2013. The Institute recently supported the Federation of Free Farmers (FFF) through a donation of IRRI books, manual and guides, magazines, and scientific journals. The donated materials were assembled by Communication and Publications Services (CPS) under the office of the Deputy Director General for Communications and Partnerships. They were distributed to FFF chapter leaders from various provinces who participated in the FFF national conference held in Calamba, Laguna, on 25-29 June 2012. FFF, through its national manager, Raul Montemayor, thanked IRRI for the materials and enabling them to distribute these to their delegates during the national convention. The FFF is a non-governmental organization of rural workers in the Philippines, organized in 1953, and has branches in some 50 provinces. Members include agricultural tenants, owner-cultivators, agricultural laborers, fishermen, and settlers, totaling around 200,000. 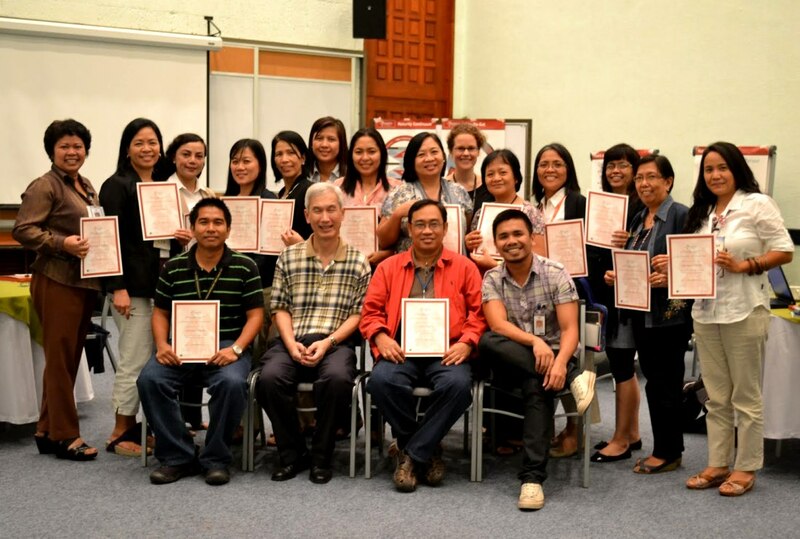 Twenty-one IRRI staff attended the Training on Protocol held on 25-27 June 2012. The 3-module training workshop covered the following topics: official events management, diplomatic etiquette and decorum, conference organization and management, and general aspects of media relations for speakers. Attendees were Israel Alforja (Events, Visitors, and Exhibits Office), Priscilla Argosino (Food and Housing Services), Manuel Bactong, Jr. (EVEO), Ma. Lizbeth Baroña (Public Relations), Ryan Jeffrey Custodio (Deputy Director General for Communications and Partnerships), Rosalinda del Rosario (Director General's Office), Ria Anna Dimapilis (EVEO), Ruth Ann Felismino (EVEO), Jocelyn Finegan (Human Resource Services), Charizabel Fortunado (Development Office), Kristine Genil (EVEO), Paul Benjamin Hilario (EVEO), Margaret Ann Jingco (National Programs Relations), Julian Lapitan (NPR), Salvie Mariñas (DDG-CP), Beatrisa Martinez (EVEO), Cristina Mendoza (DGO), Maricor Zen Reyes (Deputy Director General for Research), Mary Rose Joy Sagabay (HRS), Sharlene Santos (PR), and Katrina Evangeline Zapanta (HRS). The group also went on a tour of Malacañan on 28 June. The workshop was facilitated by Revimarc de Mesa, former deputy chief of presidential protocol of the Office of the President in the Philippines (2006-08). It was organized jointly by the HRS and the EVEO. 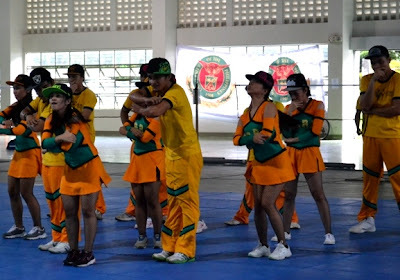 The University of the Philippines Los Baños (UPLB) hosted the 26th IRRI-UPLB Dual Meet, held on 29-30 June 2012 at the Copeland Gym on the UPLB campus. Deputy Director General for Communications and Partnerships V. Bruce J. Tolentino and UPLB Chancellor Rex Victor O.Cruz gave the welcome remarks during the morning program, which kicked off with the Executive Fun Run. UPLB took the championship this year, but IRRI won in these events: plank walk (men), modified sack race, basketball (women), swimming (men), and cheer dance. 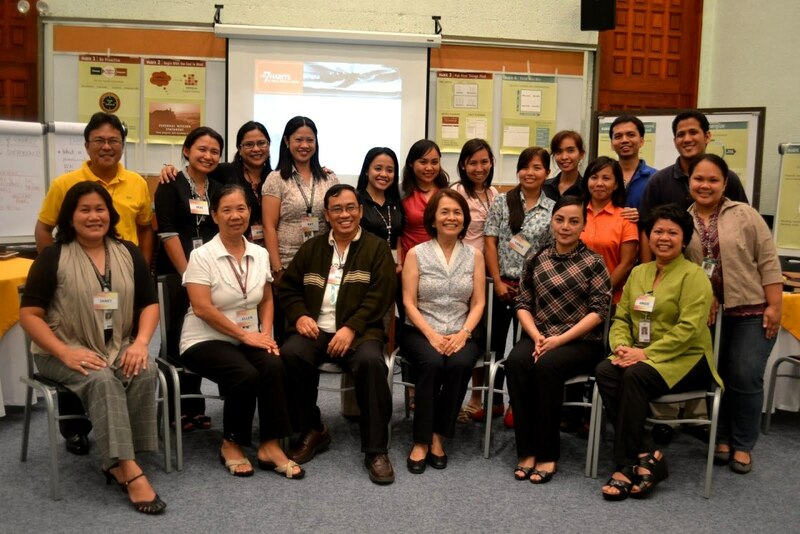 Fiona Farrell, director of Human Resource Services (HRS), coordinated this on behalf of IRRI. 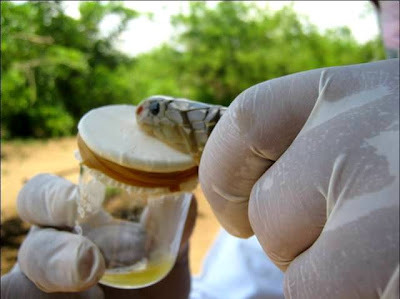 Venom extraction from the Philippine Cobra (Naja philippinensis). IRRI has acquired antivenin from the Research Institute for Tropical Medicine (RITM) on 26 June 2012, after hosting the Snake Bite Medical Management Training of the Joint IRRI-UPLB Management Committee on 20 June. The recently conducted training and the acquisition of antivenin are significant improvements to the Institute’s emergency response capability to snake bite incidents. 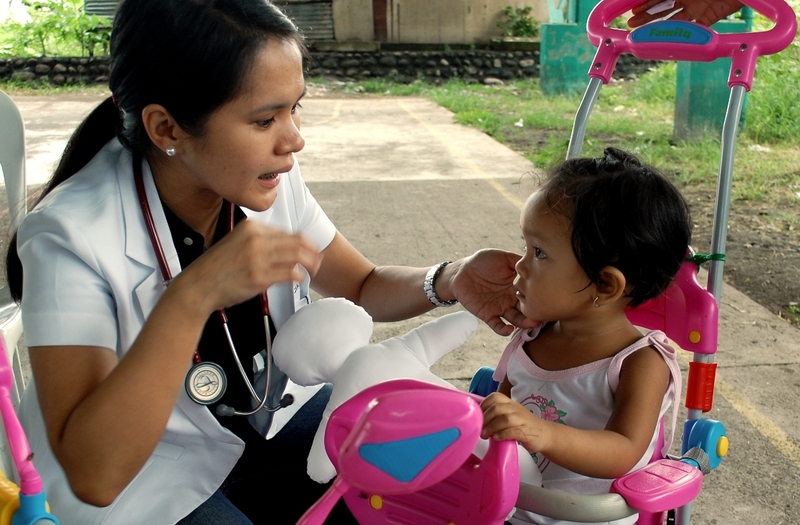 The administration of antivenin requires medical evaluation by physicians, as antivenin could adversely affect the health and survival of a bite victim if improperly administered. The Institute has also acquired snake-handling tools and personal protective equipment.